FREE 1 Topping Medium Pizza or Full Order of Cheesy Breadsticks, with any Large or Jumbo Specialty Pizza Purchase. 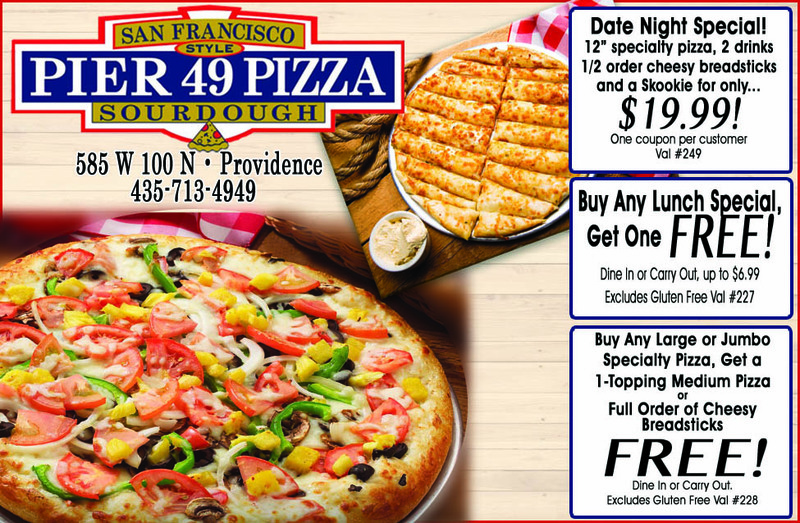 (val#228) Buy 1 Lunch Special, Get 1 FREE (val#227) Date Night Special $19.99 (val#249) 12" Specialty Pizza, 2 Drinks, 1/2 order cheesy breadsticks, and a Skookie. All offers dine in or carry out only. Excludes Gluten Free.